Coffee goes at least as far back as the 13th century, with Ethiopians the first to discover the energizing effect of the black bean. A possible origin is in the Kingdom of Kaffa in Ethiopia. 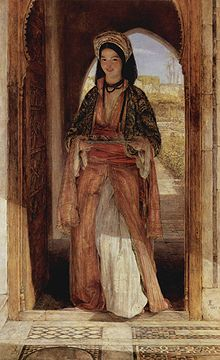 From Ethiopia, coffee was said to have spread to Egypt and Yemen where it appears in the middle of the fifteenth century in Sufi monasteries. By the 16th century, it had reached the rest of the Middle East, Persia, Turkey, and northern Africa. Coffee then spread to Italy, the rest of Europe, to Indonesia, and the Americas. Vibrant trade between Venice and the Muslim East made African goods available to wealthy Europeans and Coffee soon became widely accepted after initial controversy over its acceptability for Catholics was settled by Pope Clement VIII in 1600. By 1675, there were more than 3,000 coffeehouses throughout England, and the little black bean’s victory march through Europe, America and the entire globe had become unstoppable. In spite of such dire warnings, Austria embraced coffee with little fear and the first European coffee house was opened in Venice in 1645. Women were eventually allowed and Austrians proceeded to establish the “Viennese coffee house culture” which today is considered an official Austrian national heritage. 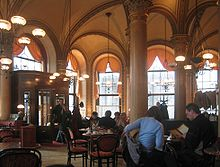 The Viennese Coffee House is described as a place “where time and space are consumed, but only the coffee is found on the bill.”…. Unlike in other café traditions, it is normal for a customer to linger unbothered for hours. Along with coffee, waiters will serve a glass of cold tap water and will bring additional water unrequested to serve the guest with exemplary attention. In the late 19th and early 20th century, leading writers became attached to the atmosphere of cafés and were frequently seen to meet and write there. Literature composed in cafés is referred to as coffee house literature, the writers thereof as coffee house poets. Legend has it that soldiers of the Polish-Habsburg army, while liberating Vienna from the second Turkish siege in 1683, found a number of sacks with strange beans that they initially thought were camel feed . The Polish king Jan III Sobieski granted the sacks to an officer named Jerzy Franciszek Kulczycki, who started the first coffee house. After some experimentation, he added sugar and milk, and the Viennese coffee tradition was born. This achievement has been recognized in many modern Viennese coffeehouses where pictures of Kulczycki can still be found.